A man who allegedly killed two men in front of 100 people in Michigan was added on FBI’s 10 Most Wanted Fugitives list. The FBI is offering $100,000 reward for information leading to his arrest. 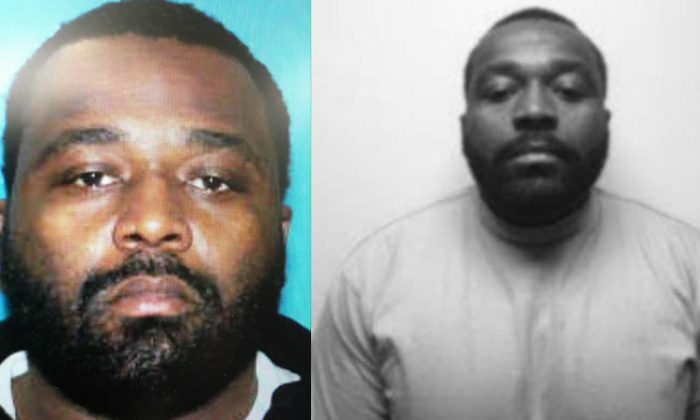 Antwan Tamon Mims, black and “known member” of the Gangster Disciples Street Gang, killed Cortez Lamont Miller and Michael Canthrell Johnson while they were attending a house party in Benton Harbor, Michigan. Mims walked away after the alleged murder, the FBI said. The fatal March 2018 shooting happened after an argument. Mims is now on the loose, WNDU-TV reported. Michigan issued a state arrest warrant on March 27, 2018, charging Mims with two counts of first-degree premeditated murder, possession of a firearm by a felon, and two counts of weapons felony firearms. On May 2, 2018, authorities obtained a federal arrest warrant for unlawful flight to avoid prosecution. FBI believes he is armed and dangerous. He has family and other personal ties to Michigan, Indiana, Georgia, Tennessee, Illinois, and Ohio. The 10 Most Wanted Fugitives list was established back in March 1950. Four hundred and eighty-four fugitives have been arrested or located since then. Mims is the 519th person to be placed on the list, the FBI said. Anyone with information about Mims’s whereabouts is asked to call 1-800-CALL-FBI (1-800-225-5324) or submit tips online at https://tips.fbi.gov.